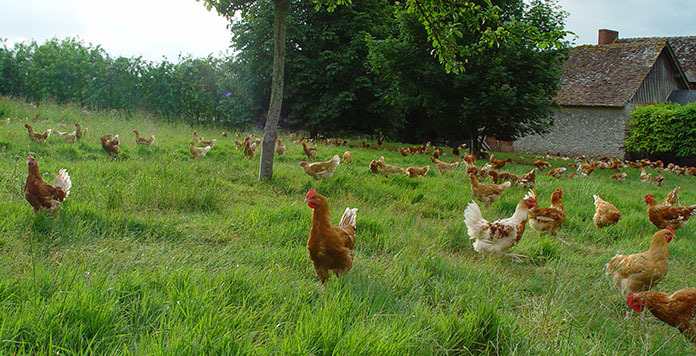 Defend, support and develop the production of rural poultry in the European Union. 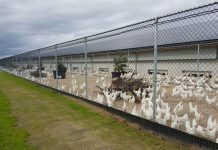 Defend the extensive and family methods of rearing, including free range poultry rearing. Represent its members to European professional and public bodies, in particular to the European Commission. Inform its members, co-ordinate their actions and adopt common positions. 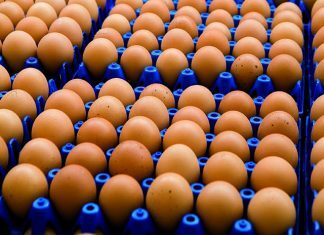 Implement any action to encourage the production and sale of rural poultry and take into account their specific characteristics in European regulations in agricultural, economic and health, and the CAP. 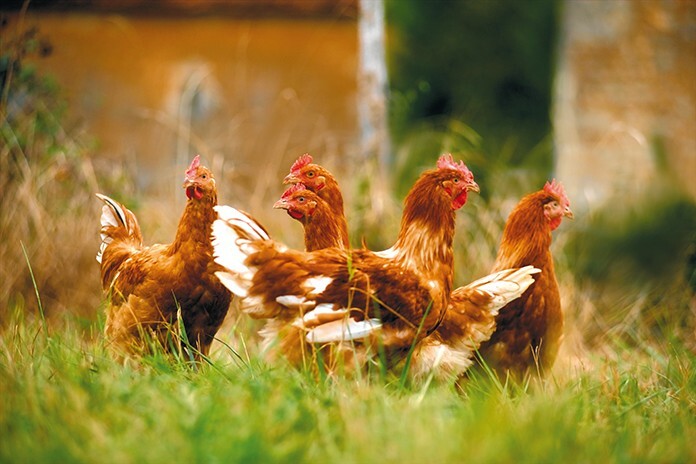 The ERPA association is made up of members such as organisations representing producers of rural poultry; associate members as selectors of breeds intended for the production of rural poultry. ERPA is an independent association and is financed by member subscriptions. It includes organisations from many member States in Europe. Young stock sold alive directly or at markets. Poultry sold with national quality certification, under PGI or PDO, or reared organically. Free range poultry produced by organised outlets, etc. All of these types of rural poultry are reared extensively in accordance with animal welfare and are from coloured rustic breeds with slow rates of growth. They concern two distinct sectors of production: poultry for meat and eggs. These forms of production involve a significant number of different stakeholders: breeders, hatchers, and suppliers of young birds; farmers, retailers and distributors. 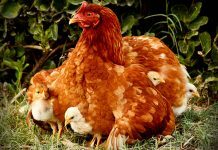 Rural poultry farmers may be organised in groups or remain independent, but they have the common characteristic of obtaining their chicks from breeders offering rustic breeds that are specifically suited to this type of rearing. In Italy: 50 million coloured chicks – 15% of national consumption – 6,500 people involved. 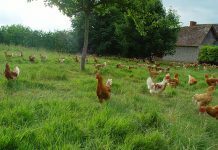 In France: 160 million coloured chicks of which 120 million are Label Rouge traditional free-range poultry under 31 PGI – 7,000 farmers. Label Rouge chickens represent 1/3 of the purchases by French households. In Spain: 24 million coloured chicks for a level of rural poultry production of 46 to 48,000 T.
The rural poultry reared for meat are issued from colored rustic breeds, different from those used for broilers. They come from pedigree selection of old local breeds, with criteria which are: slow growth, hardiness, adaptation to outdoors rearing, quality of the meat. Rural free-range laying hens are also issues of race that are characterized by their ability to live outside and by their hardiness. These strains are available from European breeders that are associated members of ERPA. The preservation of existing traditional forms of production because of their important social function (markets, links between town and country, the maintenance of rural society, etc.). The encouragement of rearing methods that respect animal welfare and the environment. The encouragement of sustainable agriculture and the maintenance of small-scale farming through these complementary activities. The contribution made to the sustainable development of rural areas, in particular disadvantaged ones in which traditional farming is significantly present. The preservation of local agriculture and local sales, since these local activities are a positive force in favour of the environment and rural development. The maintenance and development of genetic biodiversity through encouraging the selection of rustic breeds based on the diversity of local breeds. The provision of a range of high quality, varied and guaranteed products in terms of taste and health. The provision of suitable health protection for these forms of production in the face of the possible risks of epizootic diseases. To undertake a study to identify the units of production of rural poultry in the various member States. To develop a professional network between economic stakeholders and the collective organisations involved in the production of rural poultry in the various Member States. To establish a comparison of national regulations and specific standards relating to this type of production. To carry out actions to encourage the maintenance and development of selection of appropriate rustic breeds (research, support given to breeders, etc.). To draft proposals for alternative biosecurity measures that are suited to these types of production and that might become a reference at European level. To communicate with institutional and professional organisations and the general public to gain recognition for the production of rural poultry, its specific characteristics and its importance in Europe.